La Casita Nueva is an (in 2015! 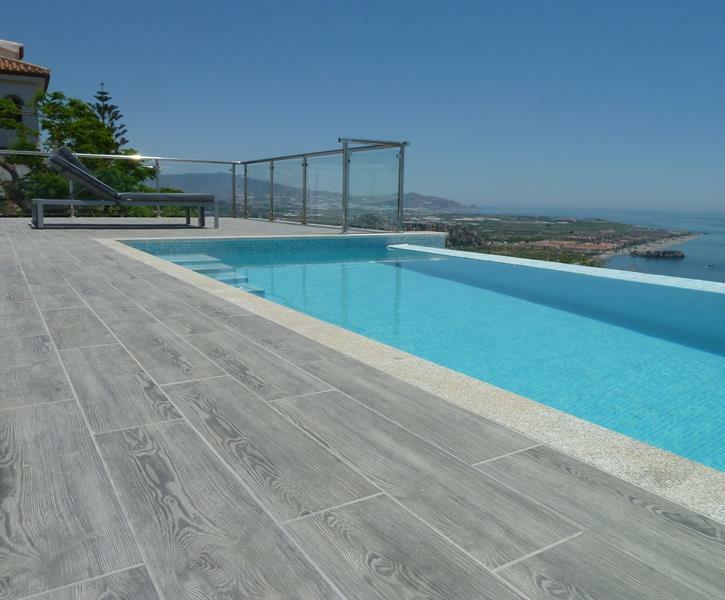 )renovated house on the residencial Monte los Almendros near the village Salobreña.Stunning seaviews from terasses and infinitypool.Fullairco. 5 ludzie uznały tę opinię za pomocną. This was an excellent villa to stay in. It was great that it had air conditioning which was much needed. The views were stunning, especially from the infinity pool. The location was very good being very close to Salobrena. Not far from Granada. There were plenty of eating places around, with excellent supermarkets close by. The villa had all the facilities that were needed. The kitchen was well equipped. Did have to phone manager about the hob as I had never used induction before for cooking and had not realised the hob would not work without having the correct size saucepan on it. It only heats up when the saucepan is on. However, the response was instant. The Wifi was very good. Also as we subscribe already to Netflix it was great to have it via the TV. There was a communal area with pool and tennis courts and pool which we did not use. A car is definitely essential. I would certainly recommend the villa. 2 ludzie uznały tę opinię za pomocną. The layout of the house is perfect for the family with children. All the bedrooms are at the same floor and you can see the pool while in the kitchen. The view is incredible and you are able to see it almost everywhere in the house. Excellent modern villa very close to the lovely town of Salobrena. All 3 bedrooms are spacious with plenty of storage and lovely en suites. The lounge and kitchen open out onto the pool and multiple seating areas which all face the wonderful sea view. Minor niggle was no UK tv but the local house manager lent us her laptop so we could watch the Andy Murray matches at Wimbledon! All in all a fantastic place to relax on holiday and under an hour from Grenada for the Alhambra. 3 ludzie uznały tę opinię za pomocną. La Casita Nueva is een mooi huis gelegen op een berg met een prachtig uitzicht op de zee en het stadje Salobrena. Het huis is van alle gemakken voorzien. Het zwembad en de jacuzzi werden op woensdag gereinigd. Het contact was ook uitstekend geregeld. Wel is het aan te raden een auto te huren. Winkels en leuke stadjes in de nabijheid.